This one has been heart of my two channel system. I have owned it for about two years, bought it from A'Gon. It is a highly reviewed DAC and has been well received by many. No issues with respect to function. No scratches or dings either. Black color. It works very well and produces detailed sound stage. I am not using it as much as I intended or would like to, and hence selling. Asking $800 plus shipping. PayPal as F&F preferred or add 3%. It will be shipped in its original packaging. This is easily and hands down the best DAC you can buy for that money. Someone on the fence and thinking about going digital, this is the one you want, and maybe the only one you will ever need. I am listening to mine right now and am so pleased with it. I tried music files before and hatted the way they sounded. The PS Audio is top shelf,and has a smooth, warm sound to it without being too soft. I might upgrade to the newer version, but right now my rig sounds so good to me that I can’t really find a spot in need of upgrade. I think a new HDR capable tv will come first. This is SOLD. Thank you Jeff. Congrats Jeff. Awesome deal jumpin. Congrats! And for saving me from yet another purchase! Wow, that was a smoking deal. Congrats. Love my PS Audio DAC. 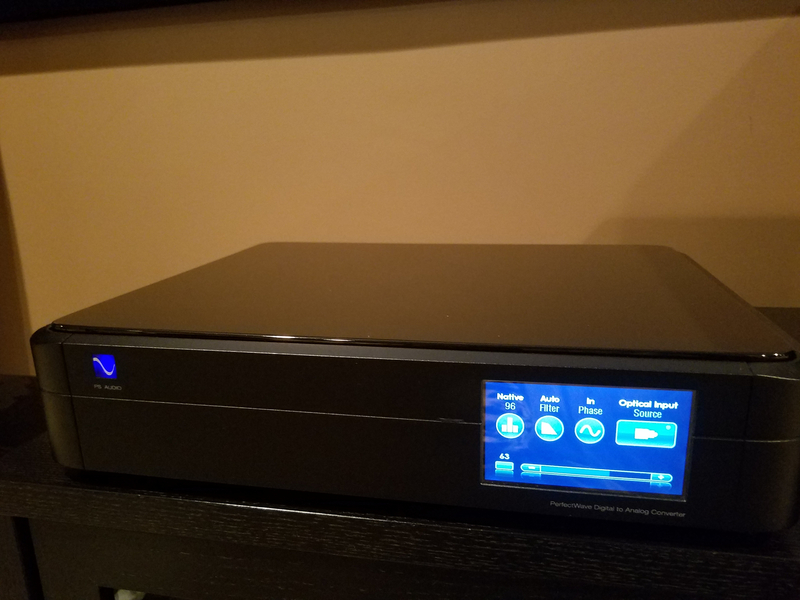 The DAC arrived today. Many thanks to Dhaval @jumpindick for the quick shipment. This was a very smooth transaction. Ahhh...John....no rest for the weary. LOL. I set it up into the system about 30 minutes ago. Initial impressions are more detail and openness. A lot more clarity particularly in the high end. Nice sound. I like it. It is a definate upgrade over my Marantz HDDAC. I feel ya dude! John gives me the same grief! Thanks John. I found the balanced connection be more detailed... may be worth trying if applicable. When we gonna set you up on Plex?